I don't know how I feel about Steampunk, and I don't know how I feel about Remco De Fouw either. First of all, steampunk is the premise that silicon technology (basically computers & electronics) has been discovered in the Victorian era, so basically 100 years earlier. 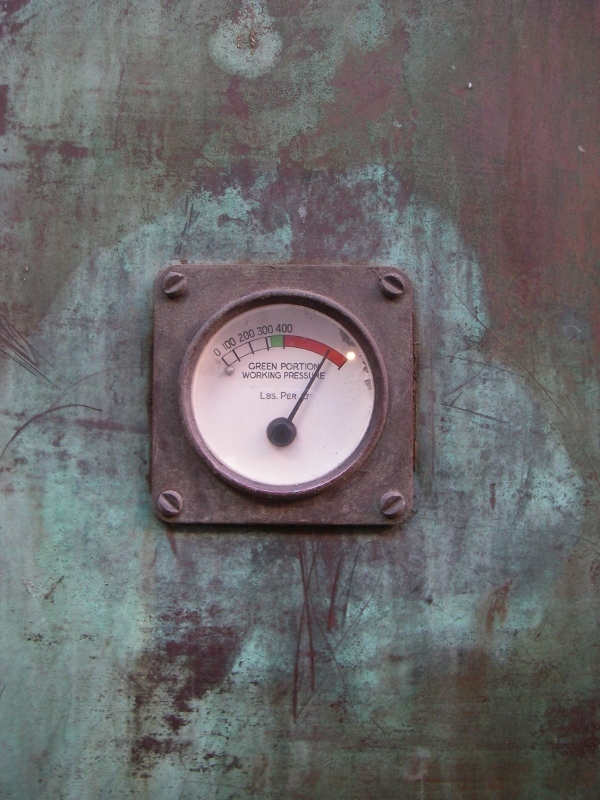 This allows steampunk fans the artistic license to re-imagine modern day objects with a nineteenth century aesthetic. Or, they imagine fantastic costumes and pretend to be nineteenth century people, living with Victorian looking notebook computers and Nixie-clock wristwatches. Steampunk people are very creative and there is no doubt there is a lot of artistic talent there. However, as a genre, I think it belongs at the Anime & Comic Book conventions. I don't need to see the Victorian versions of the Ghost Busters—complete with brass tubing & neon lit ray guns—walking around The Dickens Christmas Faire. Talk about unclear on the concept. That's like showing up with a graphics tablet & Adobe Illustrator for a Plein-Air painting contest. To complicate the issue further, I don't know how I feel about Remco De Fouw. 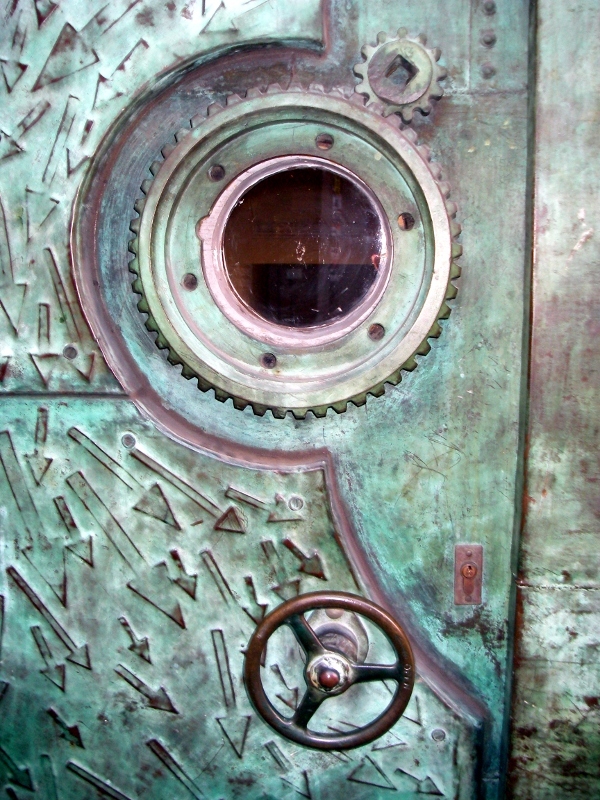 He designed this amazing steampunk door, titled The Green Machine. Now, the doorway is totally cool. I like the way the little arrows flow around the oblong bezel framing the sink-pipe tree. Very creative. The little gauges are a nice touch too. The heavy gears and the porthole windows look like it was commissioned by Jules Verne himself. So, right on with the public art. I dig it. Having said that, I have no idea where this artist is going now-a-days. 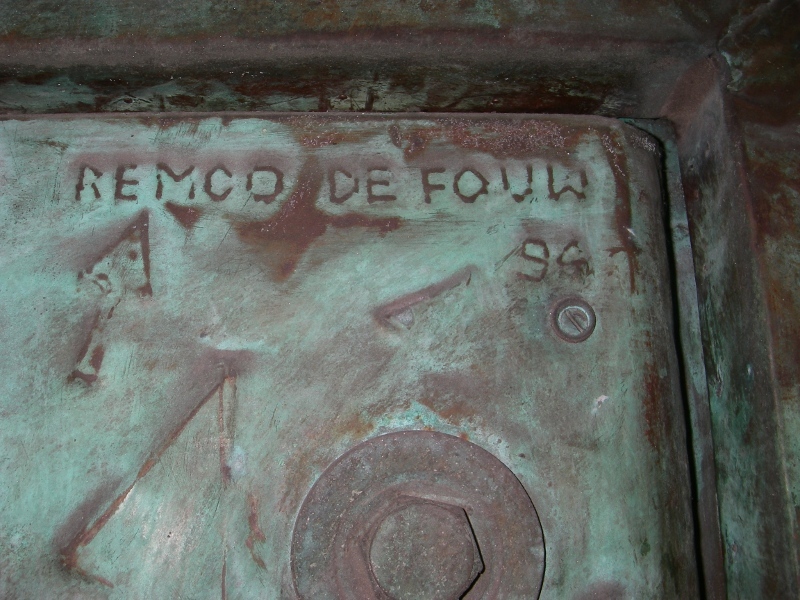 The Green Machine was commissioned in 1994. Recently, Remco De Fouw has been splitting boulders in half, hollowing out a divot the size of a salad bowl and calling it, “God's Navel.” He has also been pounding steel studs into boulders, painting lines between them and installing the boulders on childrens' playgrounds. Dude, huh? The steampunk thing was cool, the stone-age thing, not so sure. 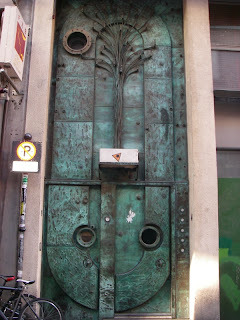 In any case, this amazing steampunk door can be seen on Crow Street in Temple Bar, Dublin. I am enjoying your "tours" of various places very much. There are some lovely things to see and ponder on, aren't there? Hi Perry! Gosh I could fill a whole week with just one street in Temple Bar. This artistic door is on Crow Street; it is kind of a little alley leading out of Temple Bar to Dame Street and all the banks. 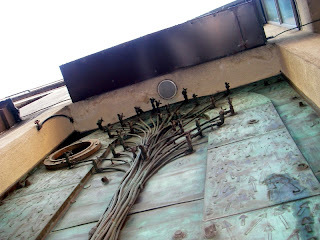 I have also been doing a few photo essays on manhole covers, gargoyles and stone animals decorating buildings. I love snapping shots when interesting things catch my eye. When enough material accumulates, they will be posted.